If you’re anything like me you are always looking for new ways to add a great veggie side to your recipe box. I get in ruts and this recipe was the result of my desperate attempt at something different…and easy. The marinade is subtle enough to allow you to taste the natural flavor of each veggie but bright enough to leave you with a hint of sweet and tart and a beautiful char. A few dollops of goat cheese on top of these grilled veggies is an awesome addition…but they are just as wonderful on their own. In a small bowl whisk together olive oil, balsamic vinegar, dijon, salt and pepper. 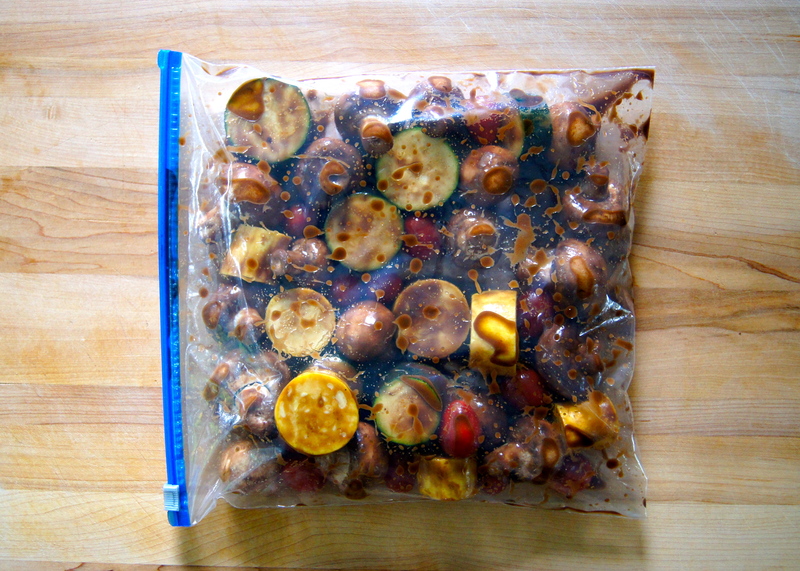 Add zucchini, squash, tomatoes and mushrooms to a large zip-top bag. Pour balsamic marinade over the veggies, seal the bag and toss to coat well. Refrigerate for at least one hour and up to 4 hours. Preheat grill over medium heat and skewer the veggies. 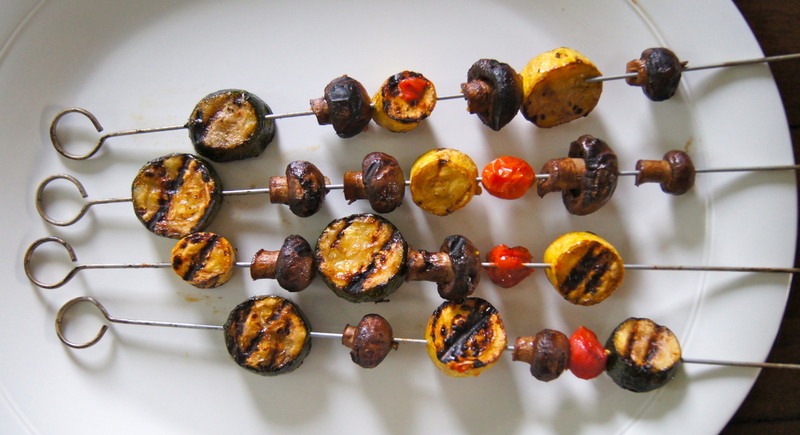 Place skewers on grill and cook for 10 minutes, turning occasionally, or until veggies are nicely charred.